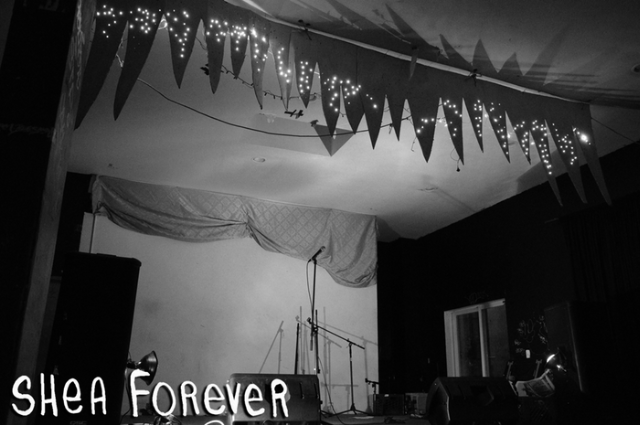 The Brooklyn DIY venue Shea Stadium launched a Kickstarter back in March in the hopes of raising enough money to get their longtime space on Meadow Street up to code. The venue has been closed for about a month after receiving a series of violation notices related to zoning and licensing of the building. Organizers hoped to raise $50K and they achieved that within a few hours. Since the page went live, the Kickstarter has nearly nearly doubled the original funding goal. In an unfortunate turn of events, the landlord who owns the building Shea has been operating out of for eight years revealed that he is no longer in support of Shea’s efforts to revitalize the space. The reason? The landlord plans to turn the ground floor of the building into a nightclub. The people at Shea are now looking for a new space to rent; read their statement below via Facebook. In the time since we last spoke we’ve been busy assembling our team of professionals to help guide us through the process of reopening. Last week, we were set to file our first paperwork with the city when our landlord, who had supported our cause since day one, revealed he was no longer on board with our plans. Without his signature, it’s impossible for us to move forward with our mission to bring Shea back. After a fantastic near-decade relationship with our landlords and their family this reversal comes as a complete surprise. Baby’s All Right will host a benefit for Shea Stadium on 4/30 at 5PM. Ó (FKA Eskimeaux), Big Ups, Sharpless, IAN SWEET, and Chris Gethard will perform. Tickets are available here.